Designed for single-screen projection and equipped with advanced collaboration technologies for education and corporate use. Laser light source, LCD, 6 500 lumens, WUXGA projector. 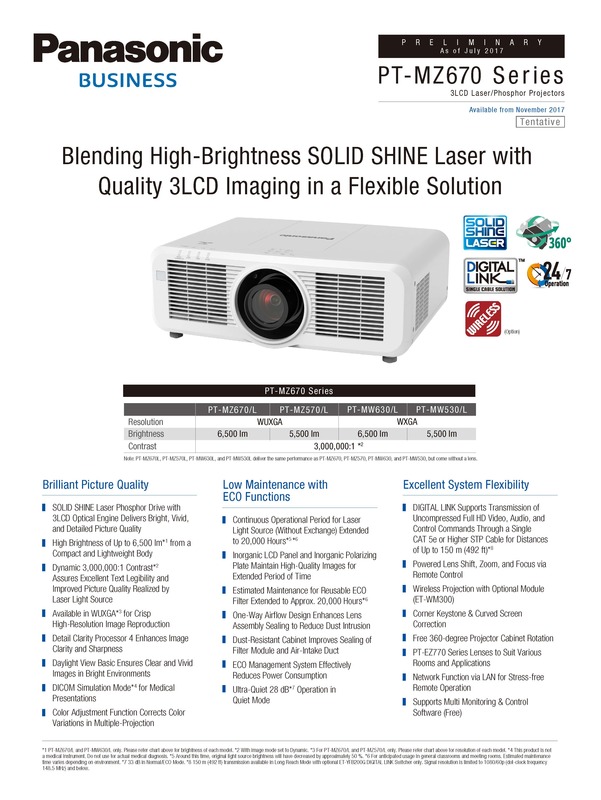 The MZ670 series combines outstanding Solid Shine laser with 3LCD technology to produce vivid, crisp images. 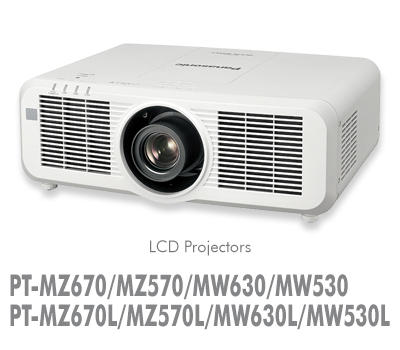 The projectors offer high brightness of 6500lm (MZ670/MW630), high WUXGA resolution (MZ670/MZ570) and a high contrast ratio (3,000 000:1), while the Detail Clarity Processor 4 image processing circuit optimizes images, making them clearer and sharper. compact and lightweight: a practical choice for use in teaching and meeting rooms. 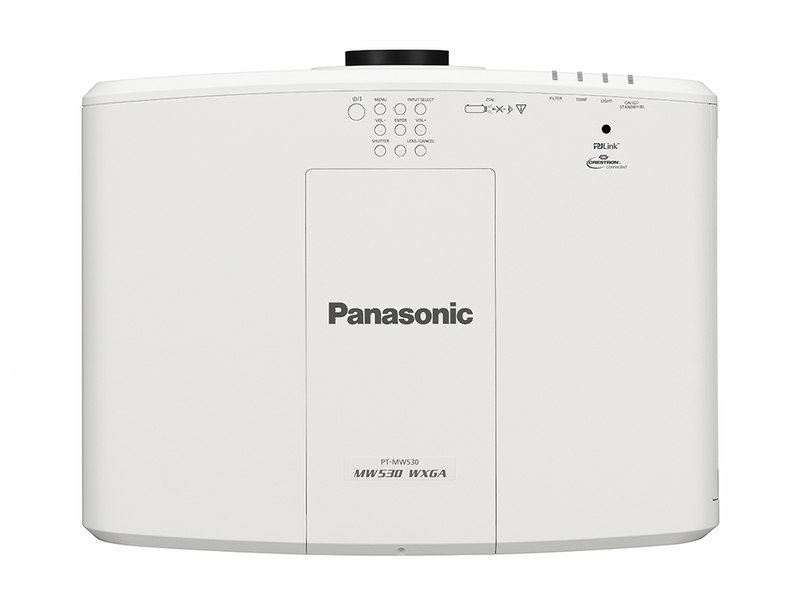 What’s more, the projectors are designed with ultra-low noise operation of 28dB in Eco mode – quieter than the sound of writing with a pencil ­– so the audience can focus on the presenter with no distractions. Vertical ±67%, Horizontal ±35% (Supplied lens/ET-ELS20/ET-ELW20/ET-ELT20/ET-ELT21) Vertical ±60%, Horizontal ±30% (ET-ELW22) NOTE: Optical axis shift function cannot be operated when used with the ET-ELW21. 0°C (32°F) to 45°C (113°F) The projector cannot be used at an altitude of 2,700 m (8,858') or higher above sea level. The light output may decrease to protect the projector when the operating environment temperature exceeds 36 °C (96.8 °F). Weights a nd dimensions shown are approximate. Speci cations subject t o change w ithout notice. *1 Measurement, measuring conditions, and method of notation all comply with ISO 21118 international standards. *2 Only compatible with dot clock frequency of 27 MHz (pixel repetition signal) for 480i(525i) and 576i(625i) *3 When [VERTICAL KEYSTONE] and [HORIZONTAL KEYSTONE] are used simultaneously, correction cannot be made exceeding total of 55° . *4 When adjustable feet shortened. *5 Average value. May differ depending on models. *6 Can be used when the ET-WM300 (option) is installed. *7 When the projector is mounted to the existing Ceiling Mount Bracket (in combination with the Model No. 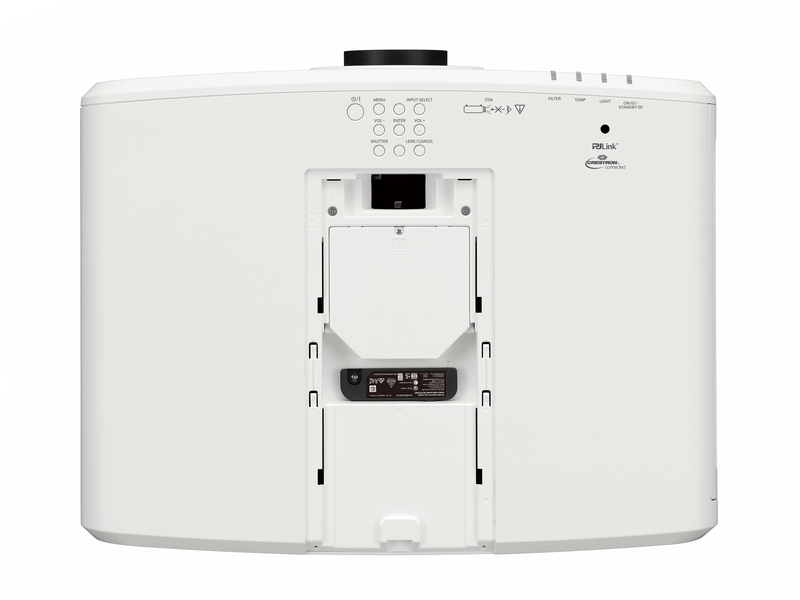 : ET-PKD120H (for High Ceilings) or ET-PKD120S (for Low Ceilings), and the Model No. : ET-PKE300B (Projector Mount Bracket)), it is necessary to replace the drop- prevention wire rope with the one corresponding to this projector. Consult your dealer. Drop-prevention set (service model no. : DPPW1004Z A/X1) *8 The suffix of the Model No. differs according to the license type.